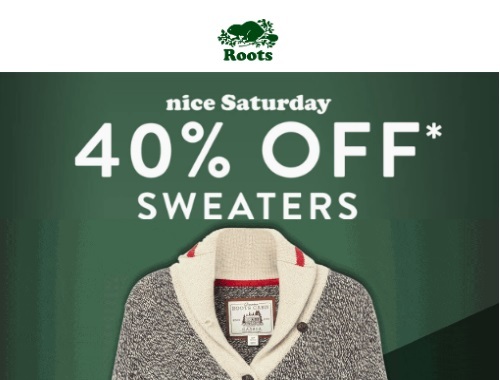 Roots Black Friday Week sale for today only is 40% off sweaters! Not interested in that? Their entire store is also 30% off for a limited time.